After you purchase your vehicle, the first full-time service it requires is the 30,000 mile service. At BC AutoCenter in Willow Glen San Jose, we replenish vital fluids and perform the maintenance your vehicle requires to run soundly. We are experts at identifying what your vehicle requires to perform its best. Whether your vehicle needs its systems flushed, fluids replenished, or parts replaced, we provide a thorough 30,000 miles service in Willow Glen and get your vehicle running how it should. This maintenance, recommended by your vehicle’s manufacturer, will keep your vehicle in good working order for the many miles of road ahead of you. 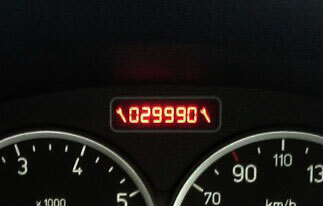 Don’t wait until you see a sea of cautionary lights show up below your odometer. Stop into BC AutoCenter today and reap the benefits of our 30,000 mile service!